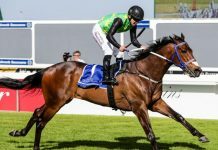 This year brings a fresh face to the highly-anticipated Summer Cup – re-branded as the Gauteng Summer Cup – which kicks off at Turrfontein Racecourse on Saturday, 1 December. 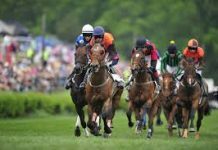 This incredibly popular annual horseracing event has a history almost as old as the city of Johannesburg itself, and 2018 will see even more enticing activities with the introduction of a new sponsor and theme, ‘The People’s Race’. Dating back to the gold rush days, the event was initially known as the Johannesburg Handicap when it was established in 1887. Taking place at Johannesburg Turf Club on the Tuffontein farm, this would quickly become one of the most prestigious horseracing events, taking on the name Johannesburg Summer Cup in the early 1900s, and then just the Summer Cup. The annual event enjoyed a really good run until the 1970s, attracting high society who displayed the latest in fashion, but the economic downturn impacted this gilded glamour. 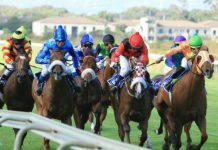 Re-named the ‘Champion Stakes’, the event managed to limp along until 1998 when the newly-formed Phumelela horse racing entity decided to revive this once-great event. Although the main focus is the horseracing throughout, the Gauteng Summer Cup is one of the few horseracing events that caters for children as well. There is something for everyone at the newly-themed ‘People’s Race’, including a fantastic half-time performance featuring top South African entertainment in the run-up to the main race. There are a range of hospitality areas to enjoy great food, drinks and a constant array of fashion shows and musical performances. Children will be able to admire the race horses in the parade ring and on the track, as well as enjoying the fantastic carnival including rides (including a Ferris Wheel), face painting, jugglers, puppet shows and clowns. And as with all great horseracing events, the Gauteng Summer Cup is accompanied by the best in this year’s fashion. Attendees will dress in the finest of Summer Chic garments, men in top hats and coat tails, and women with some eye-catching outfits complete with fascinators and hats worthy of a royal wedding. Not to forget the day’s highlight – the actual horseracing. The event attracts the best trainers, jockeys, stallions, fillies, geldings and colts all galloping towards that R2-million prize purse. One of the country’s oldest racecourses, Turffontein is also considered to be one of South Africa’s most difficult tracks. The steady climb to the final post makes for some of the most exciting horseracing finishes! The Gauteng Summer Cup has it all – a day of constant fun and entertainment. This is truly The People’s Race! 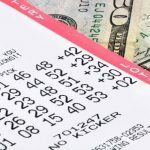 Place your Summer Cup bets today.